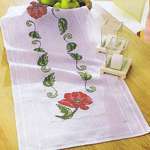 Discover a large range of embroidery kits at big discounts and with free shipping to your door. 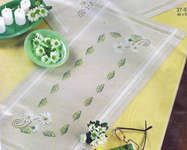 Embroidery kits usually come with fabric pre-printed with the design, stranded cotton thread/floss and a sharp needle. 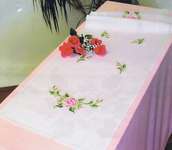 We offer only genuine and original kits direct from the makers so you can be absolutely sure of quality. 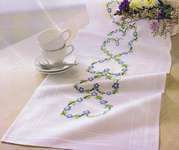 Rico Design (Germany) have a gigantic range of table cover, table runner and tea towel embroidery kits using surface embroidery. 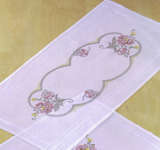 You can also see kits for wall hangings, tote bags and pictures which are both stylish and contemporary. 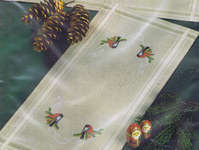 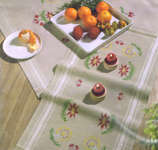 Permin of Copenhagen (Denmark) produce quality embroidery kits to help make your table look perfect. 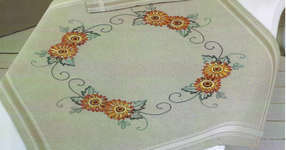 Sue Dakin - Sue Dakin has designed a small range of embroidery kits.